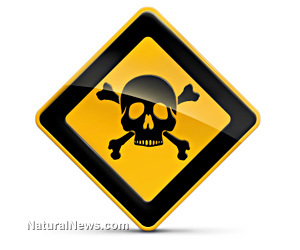 (NaturalNews) The horrific bombings at the Boston Marathon and the ricin-laced letters sent to government officials served as unsettling reminders that terrorist acts, including poisonings, can and do happen. When it comes to poisons, thousands of people are exposed to deadly toxins every year anyway and too often lives have been lost because the poison is simply too strong and too fast-acting to effectively counter by the time medical help can be obtained. Whenever anyone is exposed to a deadly toxin they should immediately seek emergency medical help by calling 911, their doctor or the National Poison Control Center (1-800-222-1222). In the interim between help arriving, there are some key supplements which might make a big difference in surviving the exposure. The weekend before the Boston Marathon and the ricin-laced letters, the season opener of The Borgias television series portrayed Pope Alexander VI being saved from poisoning through a slurry mixture of charcoal and water forced into his stomach. Though the episode was fictional, activated charcoal can indeed be a lifesaver when it comes to neutralizing and surviving poisons. Activated charcoal, which can be obtained in powder, capsule and wet drink forms, not only absorbs toxins in the gastrointestinal tract (GI tract), it actually adsorbs them - which means that toxins are attracted to the charcoal. Toxins then become bound to the charcoal and are passed out of the body through the digestive system. Bentonite clay is a natural clay substance which is known for its ability to draw out and absorb toxins. Taken internally, it will pull out and absorb toxins in the GI tract so that they can then be eliminated via the colon, liver and kidneys. Zeolite minerals are naturally occurring volcanic mineral compounds with a negative magnetic charge and a unique crystalline cage-like structure which draws in many harmful toxins. Food grade diatomaceous earth is best known for its ability to trap and neutralize pathogens such as viruses, bacteria, fungi, and protozoa. However, it also traps and absorbs toxins and helps eliminate them from the body. Colloidal silver is a must-have supplement if the poison is a biological agent since colloidal silver is deadly for most single-celled pathogens, including viruses and bacteria. In the event of ingestion of a biological agent, take plenty of it - eight ounces or more per day for the first few days and a couple of ounces a day thereafter until the threat has passed. Colloidal silver is also effective for cleansing topical exposures to biological poisons. If the poison is a viral agent, digestive enzymes taken in quantity on an empty stomach will literally strip off the protective outer layer and head of viruses. Take 6-10 capsules of systemic oral digestive enzymes three times daily on an empty stomach for seven days or until the threat has passed. Even if you aren't directly affected by an act of terror or other disaster, such events may result in temporary lockdowns, travel restrictions and shortages of food and other essential supplies. Thus, it is prudent for all of us to make sure that we have at least several days of supplies on hand of such essential items as food, water, first aid supplies, batteries, toilet paper, candles and other items to avoid running short until order is restored.